With the proliferation of bigger, faster sportfishing boats, once-distant waters now feel much closer to home. For example, in the 1970s, most offshore fishermen considered a 50-footer to be a big boat. And if a boat that size cruised at 23 knots, that seemed pretty quick. Those numbers seem like a distant memory these days as 70- and 80-footers have become commonplace and cruise between 30 and 40 knots. Such innovations have radically altered the bluewater fishing geography, making waters that used to feel distant seem much closer to home. Of course, many of the older boats made the trip to St. Thomas in the U.S. Virgin Islands back in the day anyway, but it was a long, hard slog most of the time. Those same boats often went on to fish Venezuela later in the fall, until that country descended into political chaos. Modern hulls, and engines have made these runs easy. 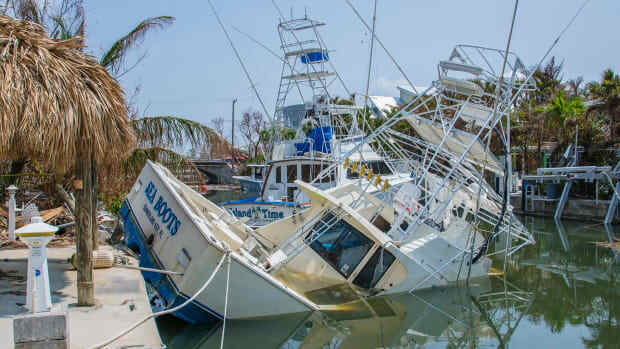 The development of world-class marinas in the Dominican Republic has opened up a new world of exciting billfishing and many of us are going there to explore them in our own boats. 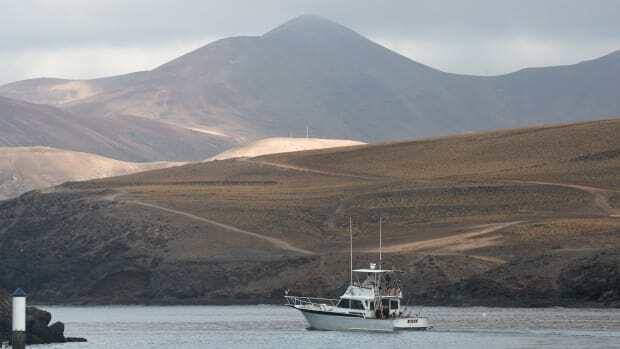 But by doing so, we may be passing up some excellent opportunities much closer to home, in waters that traditionally served as home base for lots of great tournaments and some outstanding fishing. I’m talking about the Bahamas, that dazzling chain of islands 50 miles east of Florida at its closest point. 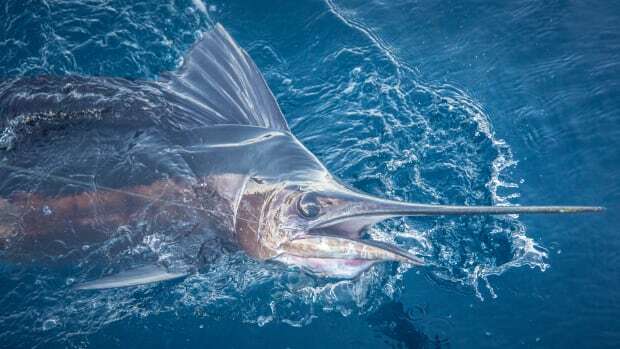 Many great places to encounter marlin and sailfish exist within the Bahamas chain, but among those, the Abaco Islands stand out for its great action and wide variety of species that call it home. The Abacos provide the infrastructure that makes visiting there a pleasure, with modern airports, well-stocked grocery stores, great restaurants, and world-class accommodations. And all of this sits more or less in our backyard. Clear water and a blue marlin makes for a colorful combination. 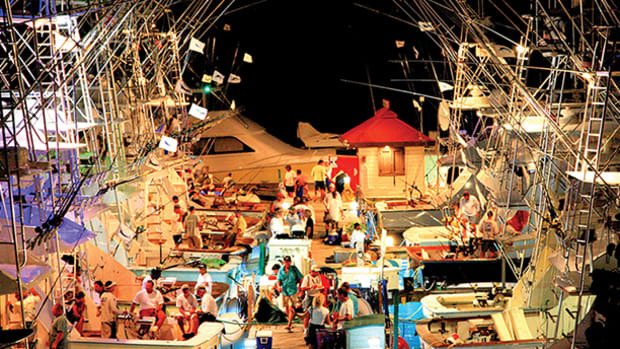 Several Abaco destinations serve offshore fishermen with such distinction, the most prominent being the town of Marsh Harbour, located on Great Abaco Island and known far and wide as the “Hub of Abaco.” Marsh is the third largest city in the Bahamas and has all the amenities you could want, and a busy international airport into which one can fly from many different American cities. Then there are the Out Islands: Elbow Cay, Man-O-War Cay, Great Guana Cay, and Green Turtle Cay. 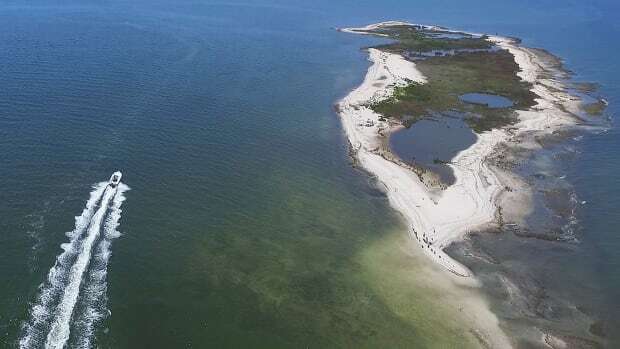 Each of the barrier islands has its own personality, and depending on your personal preference, you can surely find a spot that suits you best. 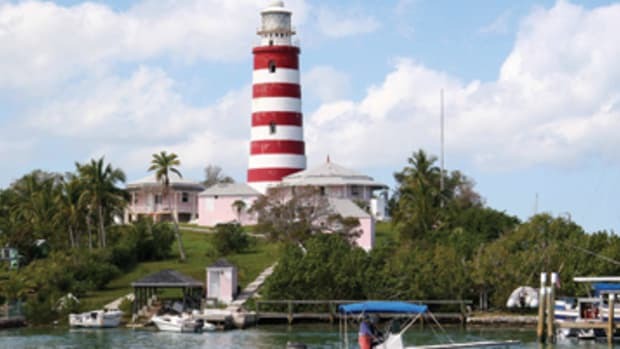 Hopetown, on Elbow, reigns as the most popular in the eyes of visitors, and the best fishing in the Abacos can often be found off Hopetown’s famous red-and-white-striped lighthouse. This elbow creates lots of upwellings, as current and tide flow around the sizable reef system to the east, attracting predators like billfish, wahoo, tunas, and dolphin. And the truth is, no matter where a spring billfish tournament is based in the Abacos, most captains run to that reef system east of Hopetown to fish. That’s where the smart money gets bet. But other areas of the Abacos hold fish, too, and so it often comes down to choosing which island to use as your base. For me, that choice presents itself most of the time as Green Turtle Cay. Green Turtle offers a decidedly more laid-back atmosphere than Elbow Cay, as it sits at the northern end of the more inhabited of the central Abaco out islands, but it still has plenty to offer in terms of marinas, restaurants, and lodging. My crew and I recently traveled to Green Turtle to film an episode of Anglers Journal TV, and I was reminded yet again why this place is so special. My buddy Matt Bridgewater of Gem Products came to fish with me, to put his new carbon-fiber outriggers to the test pulling dredges in search of billfish. 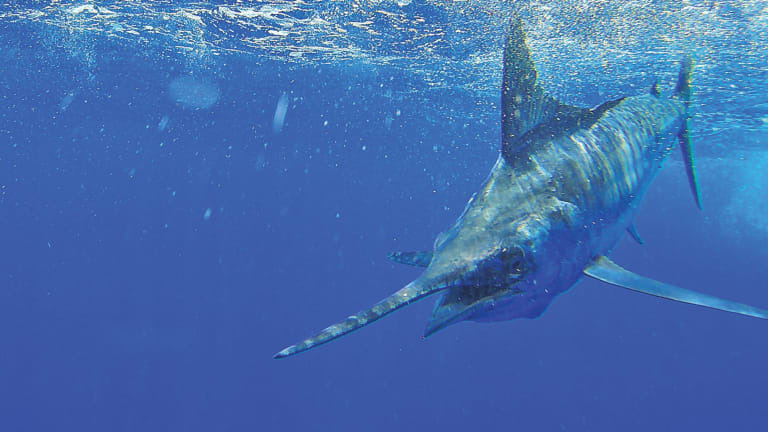 The Abacos have traditionally been thought of as a blue marlin destination, but dredge fishing changed that perception, as it has throughout the billfishing world. When crews began pulling dredges rigged with dozens of ballyhoo or mullet in their wakes and scaled down the size of their natural baits, they suddenly discovered a vibrant white marlin fishery off the Abacos. 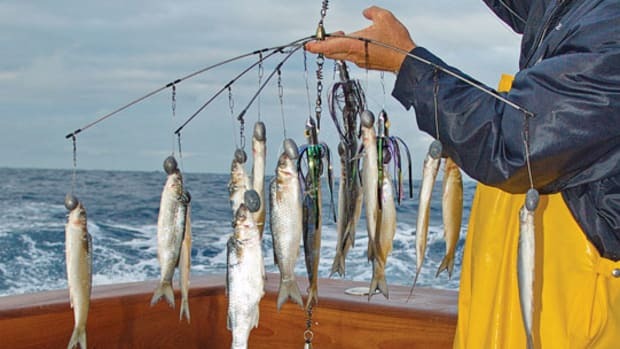 In the old days, crews would toss out four lures on heavy tackle and troll around all day, and you either raised a blue or you didn’t. They didn’t see a lot of whites because they weren’t attracted to lures, but they were certainly there all the same. When these same crews started pulling smaller ballyhoo behind dredges, the whites lit up and chewed, changing the complexion of the entire Abaco fishery. The white marlin fishery had been red-hot in the weeks before Bridgewater and I showed up, and we eagerly headed offshore to put the dredge to the test. 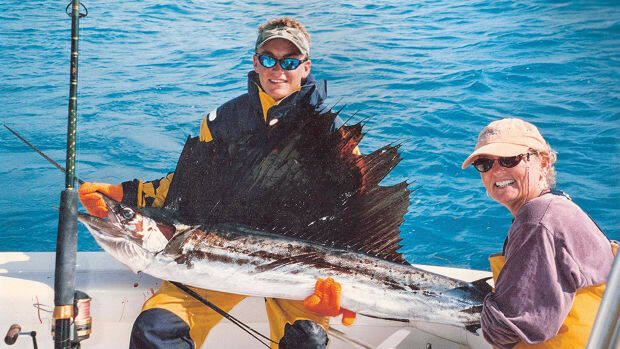 We weren’t particular about which species of billfish we raised. We made the 20-nautical-mile run south to the reef of Elbow the first day and found good dolphin action, but we didn’t raise a billfish. Matt’s son Jacob caught one (his first) on our camera boat though, so collectively we felt the crew had scored big. 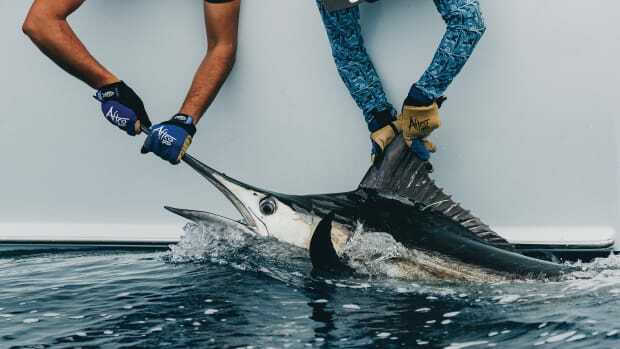 Our turn came later in the week when a large dark shape rose behind the daisy chain positioned over the dredge, and a chunky blue marlin crashed the flat-lined naked ballyhoo bait just behind it. Bridgewater dropped back to the fish and hooked him solidly; the fight was on! The blue, which we estimated at between 350 and 400 pounds, took a lot of line at first, but we followed him at an angle and after about 45 minutes, mate Bubba Keith took the leader in hand for an official release. We were elated to say the least, and when we returned to the Green Turtle Club, Executive Chef Michael Howell grilled our mahi-mahi filets on his Big Green Egg, creating one of the best dolphin dinners I’ve ever had. It doesn’t get much better than that. 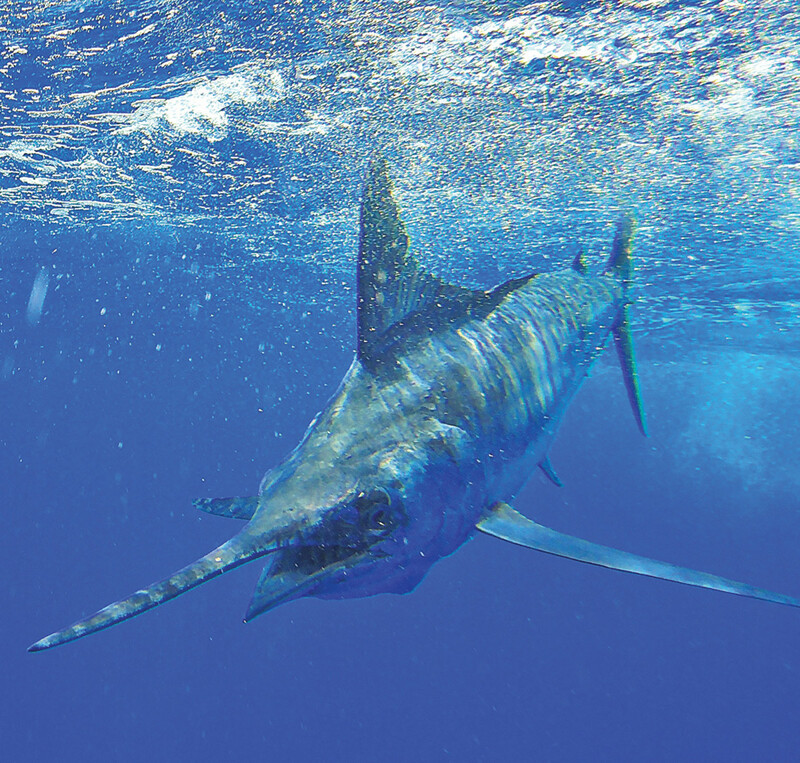 The next time you’re considering a billfish trip aboard your own boat, don’t overlook the Abacos and Green Turtle Cay. You may just discover that one of the most satisfying billfish trips around has been sitting right under your nose the whole time.